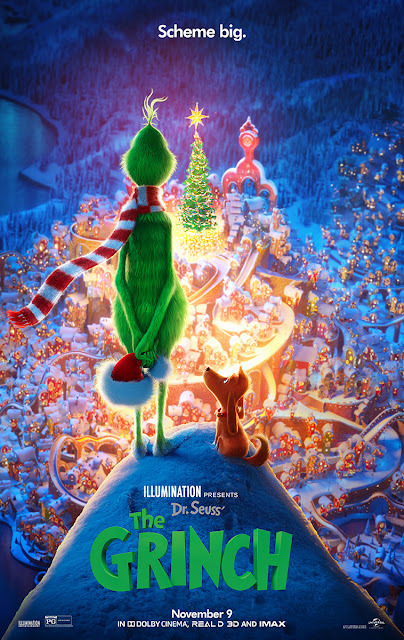 Grinch fans it is time to get excited! The holiday favorite is getting a new twist, ILLUMINATION PRESENTS DR. SEUSS’ THE GRINCH is in Theaters today! This fun movie has all you love from the classic movie and more, there is even a little version of The Grinch! Aww! There is also a re-imagined version of the classic Grinch theme “You’re a Mean One, Mr. Grinch” by Tyler, the Creator and Academy Award-nominated composer Danny Elfman. Check out the lyric video for the song!